How to take an ongoing income stream from a portfolio tends to be one of the more confusing concepts for retired investors. 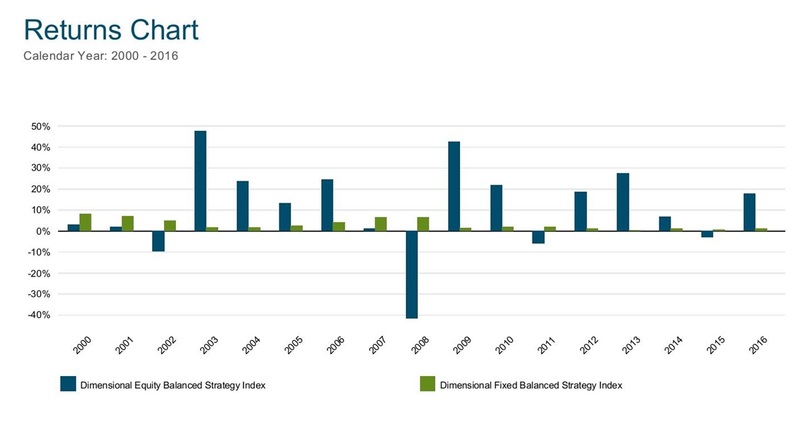 The chart above lists the annual returns over the 17 years since 2000 for two investment portfolios: a diversified stock index mix and a short-term bond index mix. Four of the 17 years since 2000 saw stocks decline, the other 13 were positive. Short-term bonds gained value in every year where stocks declined. When stocks are up, spend them. When they're down, spend bonds. That's it.